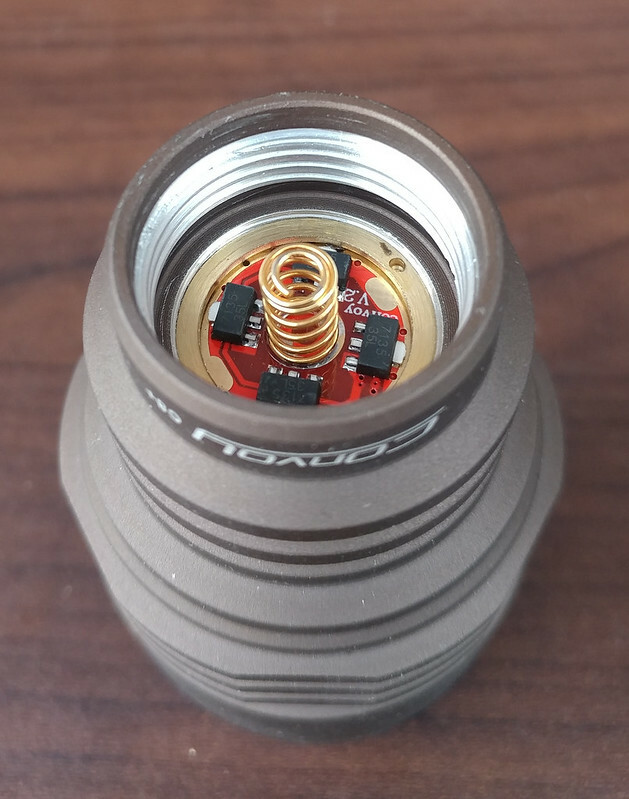 Hey folks today we will be reviewing the all new Convoy C8+ a new look to an old modding favorite. I want to compare the new C8+ against the old C8 but they are so different. I guess that is why the new C8+ has the C8+ name its more of a second C8 then a new C8. I have a few C8s my self about 5 in total and one I used for parts. 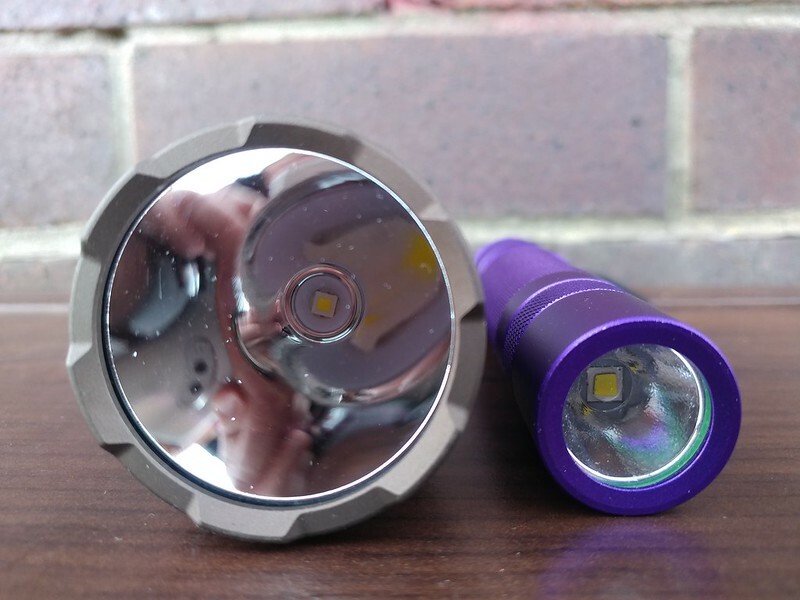 The Convoy C8+ was sent to me for review by Fasttech along with the Violet S2+ I just reviewed. I have heard rumors of Convoy releasing a new L6 cant wait to see that! 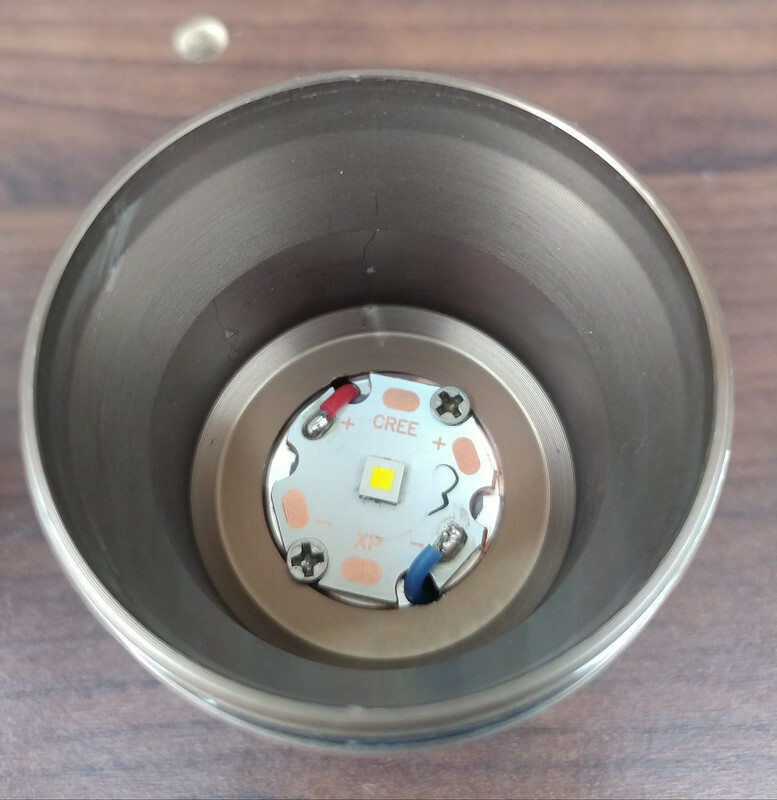 I think the C8+ will be sold along with the regular C8 they are two separate lights. Perfect place to start this review. I am switching build and design around seeing as the C8+ is an all new radical design. I think the new C8+ is either a light you will love or hate that probably applies to the normal C8 also but more so with the C8+. The C8+ is very “out there” design wise and is very different and distinctive. whether that is good or bad is really up to you. If we compare the look of the new C8+ to a regular C8 there is a huge difference. 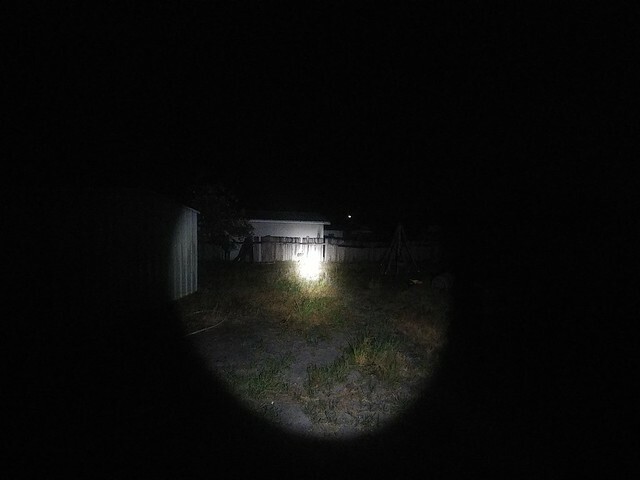 To me the old style C8 is a regular flashlight not a particularity breathtaking light but it gets the job done. Very versatile and has a lots of aftermarket options. The new C8+ is on the other extreme in this area its like a playground of shapes and curves. The C8+ features diamond shape knurling that is much more aggressive compared to the standard C8 knurling. The cooling fins on the C8+ now extend from the bottom of the head all the way up to the top of the head. I guess more cooling fins is better? but I am not sure how much the top fins will help in a light the size of the C8. I will add a bit more to this since I have done some testing. 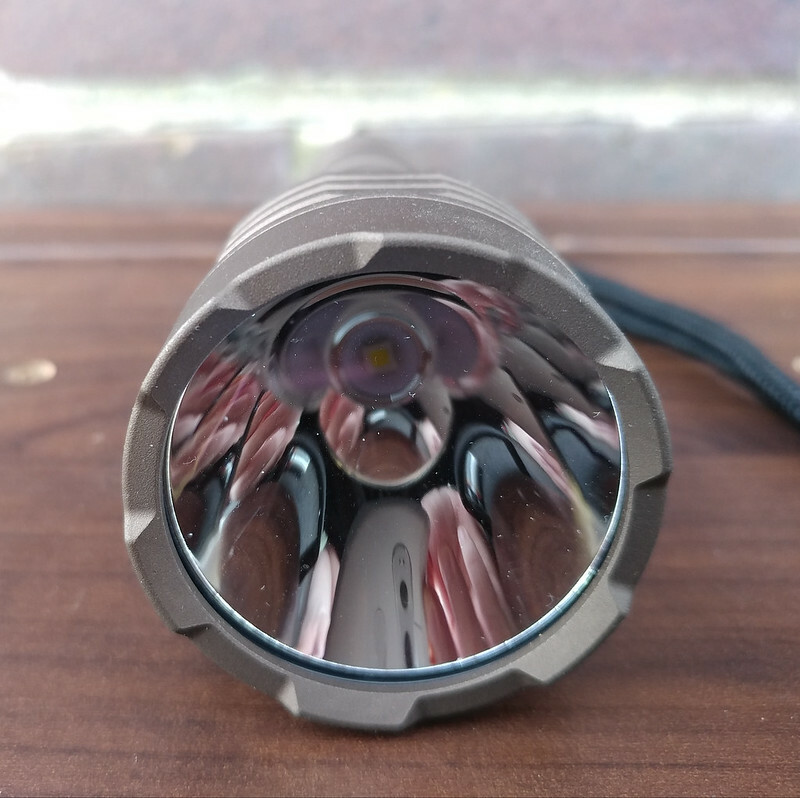 When the C8+ heats up you can feel the top heat fins getting warmer fairly linear compared to the rest of the light so the C8+ has a better heat path compared to the standard C8. Usually in a C8 most the heat stays around the LED shelf area. The cooling fins around where the LED shelf sit have also changed there are now less fins that are thicker and more shallow. Honestly cooling was never an issue for me on a stock C8 or even a worked C8 with a single die LED setup. Even running a SST40 on direct drive didn’t raise to much concern on a C8. The tail cap is completely changed I will let the pictures do the talking. The new tail cap design offer awesome grip and will come in handy when wearing gloves. Or if you have wet hands for what ever reason. The tail cap and the head of the C8+ have the same design cutouts I am not sure how to describe them. So we shall describe the new design as a hex pattern seems legit kind of looks like a bolt design. The tail cap also features a U shape cutout for easy access to the rear clicky. The new design makes switch access easier while wearing gloves or if you have fat fingers cough cough. Also the new tail cap design has lanyard cutouts on both sides unlike the old C8 where you could only attach the lanyard in one spot. The C8 will still happily tail stand. To me my favorite new implementation on the C8+ is the new bezel design its more aggressive then the standard C8 bezel. Its the same shape and design as the stainless steel bezel. The bezel is also a tad shorter on the C8+ when compared to the C8. Now the elephant in the room the C8+ comes in desert tan colour for some reason I keep thinking its desert sand or add an S you get dessert tan sounds tasty! The new colour is awesome and gets a thumbs up from me probably the best looking C8 ever even better than the clear C8. Update I just seen Convoy released a black edition of the C8+. The size and weight and internal stay the same so most of your old C8 parts will fit like the lens and reflector. We will talk more about this later! The C8+ is feature packed with some new and exciting updates. Most of my modded C8 already have these similar features but now they come stock on the C8+. Things like AR coated glass have been added to the C8+ which should slightly advantage then C8+ vs the C8 in throw and output. The overall build quality of the C8+ is next level its fit and finish is second to none its really hard to flaw the C8+. The desert sand finish looks and feels awesome there are no specs on what the anodizing is but its super tough and appears to be thicker then the standard C8. I always get the anodizing wearing of the bezel and sharp edges on the C8. This issue is solved because the C8+ has no sharp edges. Only time will tell these two apart I guess which one wears better. The C8+ is built from aluminum alloy no surprise here lol. The C8+ seems like a big improvement in the fit and finish department when compared to the standard C8. 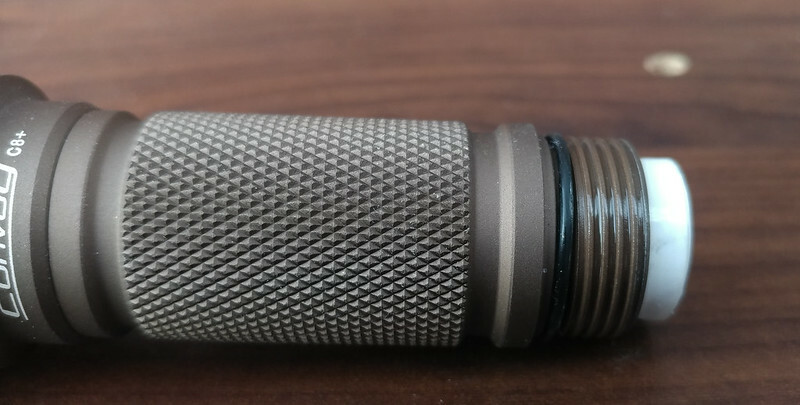 Nothing wrong with the standard C8 or the C8+ they both have very well cut threads that fit together nicely but the C8+ threads feels that bit extra smooth and buttery. The threads appear to be the same on the C8+ as the C8 and you can lego parts together but I only have black C8s so I see no reason to. Things like the lens and reflector are the same size on both the C8+ and the standard C8. The C8+ just looks better looks better finished that could just be a placebo effect. 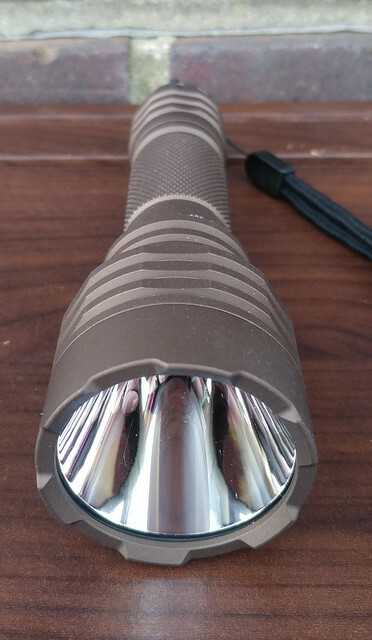 My threads on the C8+ seems to be glued in place first time I have this a Convoy light. I am on record saying I think gluing is a good idea for consumer lights not so good for modders. My only qualms with the C8+ is that the lens and reflector had a bit of dirt in them. Not a major issue its more annoying I guess cause I then have to go and clean it my self and I risk scratching parts. Also the driver has a weird click when used in turbo/100% output mode for an extended period of time. I cant work out what the noise is? 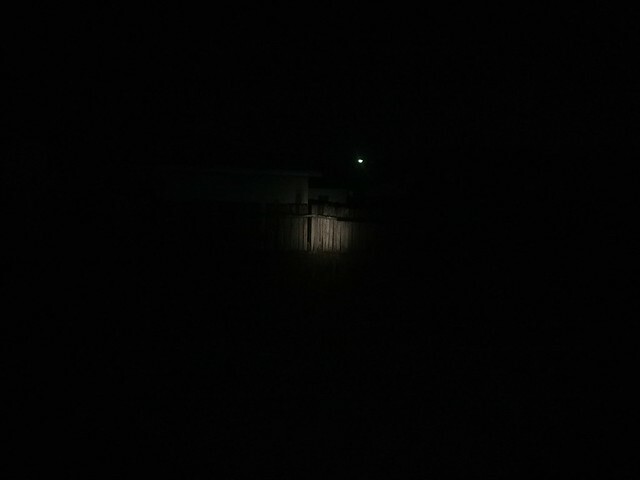 The C8+ doesn’t have a timed step down from what I can see. So I am not sure what is going on here maybe the driver is getting to hot?. 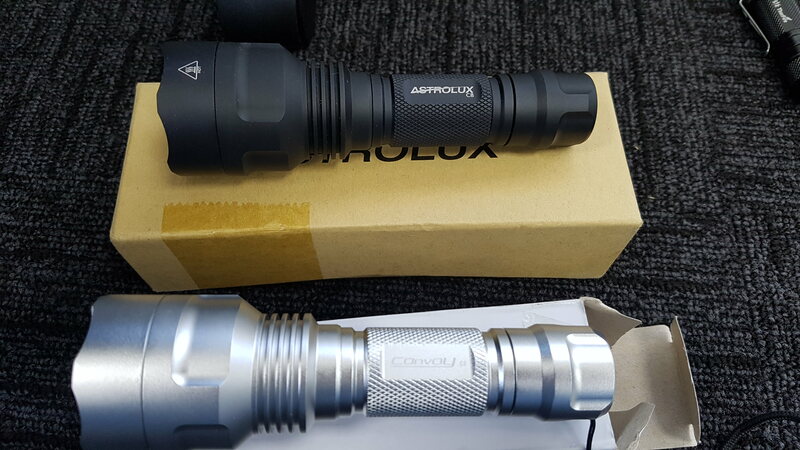 This market is probably the most competitive in the flashlight space. 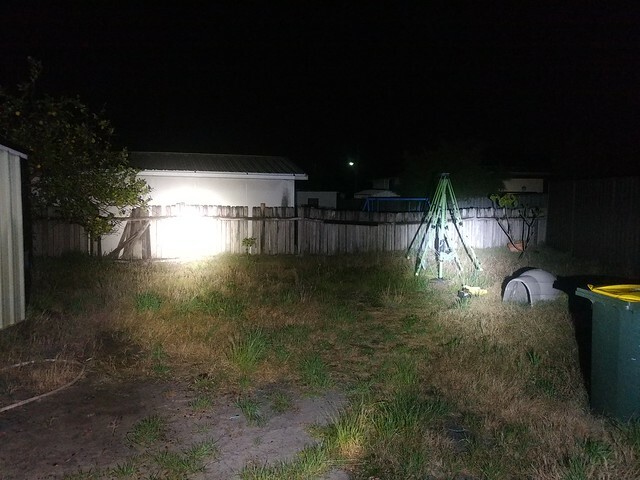 There are a lot of options for C8s and similar sized flashlights on the market. We all have our favorites but I think the C8+ takes the cake its really hard to beat. 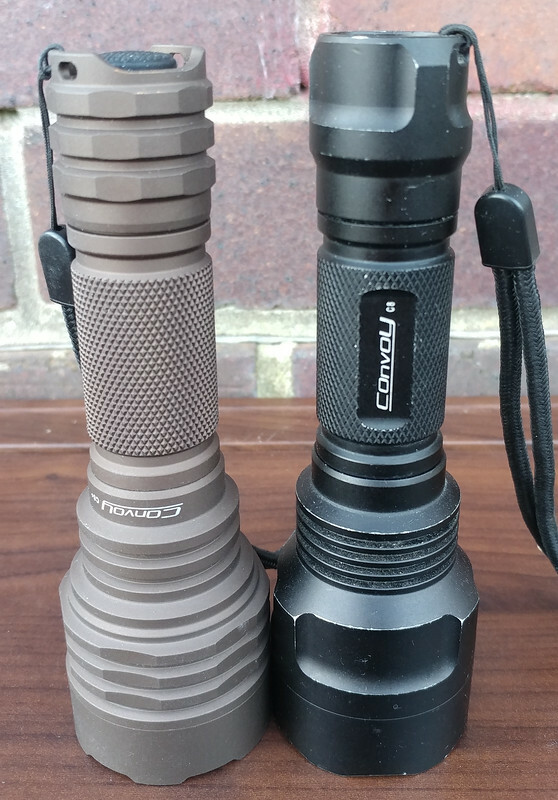 Size and weight wise the C8+ is very comparable to a regular C8 they are both the same size and weight and dimensions. The C8+ offers good throw to size ratio probably my favorite in this department. I have a C8 with a dedomed XPG2 that sees regular use its doing almost 150kcd. The extra weight of the C8+ does leave lots of options open for modding it naturally it handles heat well. I think the new design C8+ helps take heat to the surface easier because it does heat up more evenly compared to the standard C8. If you have seen my C8s you will know these things are unbreakable I will take some pics. I have never taken a C8 diving or any thing like that but in the general fishing environment the C8+ setup is good enough. The C8+ has a IPX8 rating with no mention of water ingress but the C8+ has O-rings in all the right places and will be fine to get wet or even go under water. No drop resistant rating is given but the C8+ should be good for about 1.5m with out any problems. Nothing much to break on the driver as the 7135s are well soldering place. 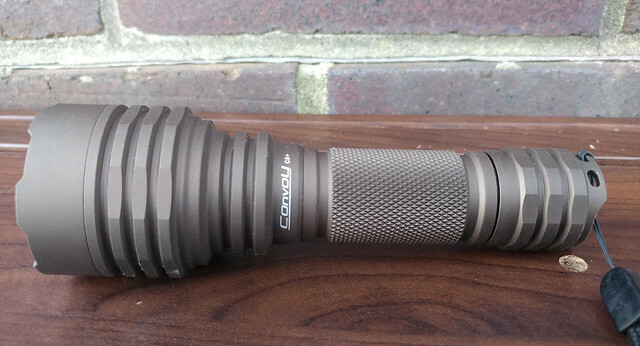 Like the clear C8 counterpart the all new Convoy C8+ comes with all you need for an awesome flashlight experience. The C8+ features a XPL-HI mine is the NW U6-3A tint sitting on a copper direct thermal path MCPCB. In case you missed it up above the C8+ features AR coated glass so you are all set to direct drive if you wish. You can get the C8+ in 4 tint variants I will list them below there are two option for warm white I think its probably best to stick with the U6-4C if you want a WW tint. Output wise the C8+ performs as good as the standard C8 with an XML2 even thought the C8+ is using a XPL-HI. I guess output wise both emitters are similar. 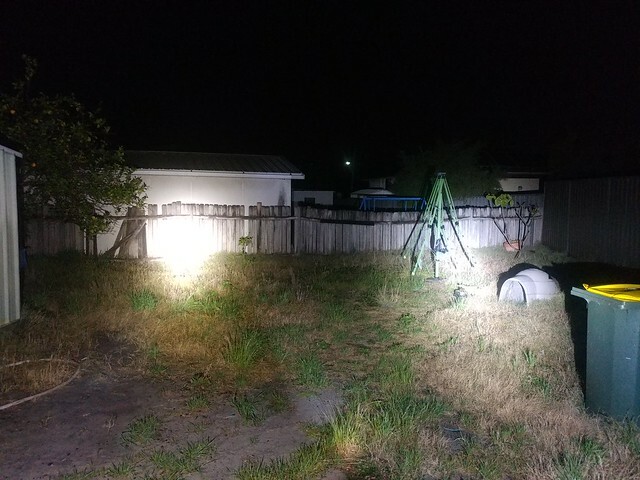 C8+ is plenty bright for every day use coming in at 1100 LED lumens. 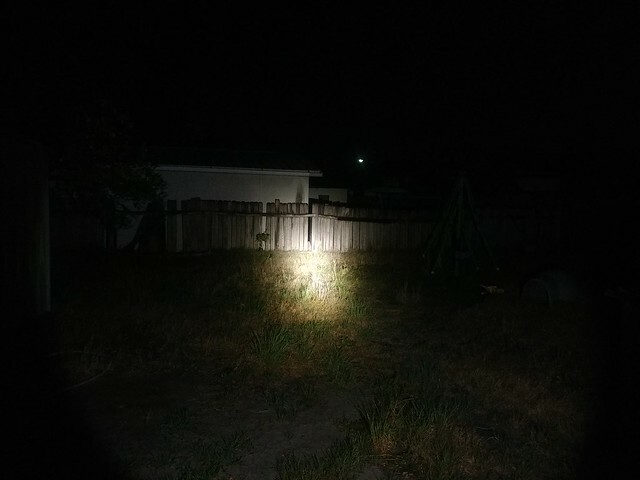 The C8+ should be pushing out about 1000 lumens after light loses of around 10%. My C8+ is doing around 3amps with 8 7135 chips they appear to be the standard 350ma chips but I am not sure. Stock config is good on the C8+ its probably a C8 that I would not mod by changing the driver seeing as it uses the Biscotti firmware. I might try and stack some extra 7135s on this driver should be fun. 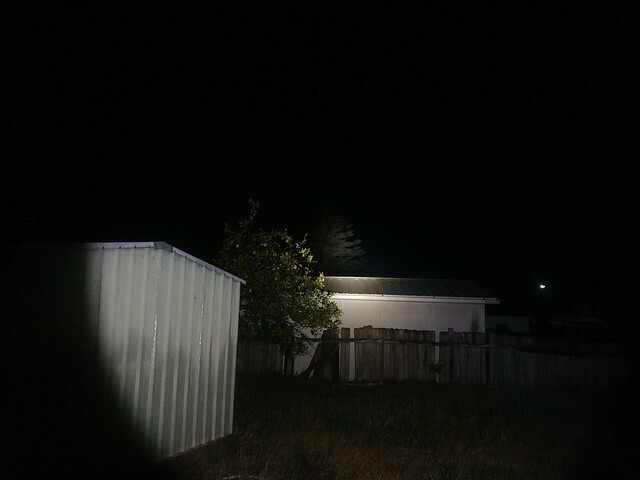 Beam pattern is throwy seeing as the C8+ is using a XPL-HI you can expect around 60000cd from the stock C8+ in this configuration you may lose some throw the warmer tint you buy. 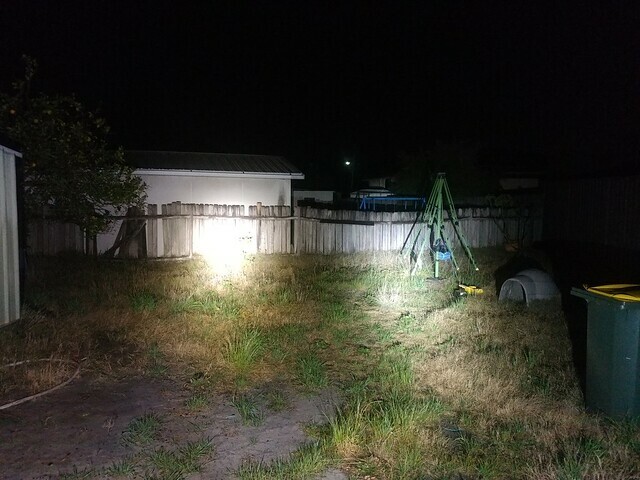 Not a bad effort for a flashlight of its size! 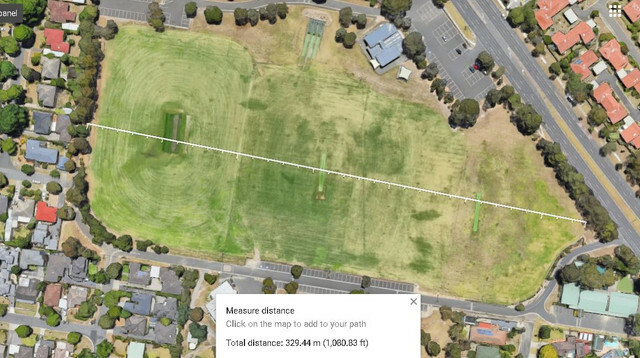 Whacking in a direct drive driver you may be able to eek out about 100kcd. I would shave the centering down first for extra throw just make sure you sand or slice it so its flat or else it will ruin the beam pattern. The driver in the C8+ is an upgraded 7135 style driver this driver is using the same controller chip the ATtiny 13A but some other components are upgraded/changed. This upgrade means the UI on the C8+ has taken a leap forward. The new driver setup has a total of 55 modes which is insane you will have many options to chose from. The driver still features all the things we love about the Nanjg style driver like reverse polarity protection. You will now also find features like a battery check mode so you never run out of juice on the go. The C8+ is running Biscotti firmware which gives you many options off different groups of outputs to chose from. You get 55 different mode outputs in total with 12 different groups settings. This is a playground of modes if you can’t find a good mode here I dunno what to tell ya! You can turn memory mode on or off which is a big bonus. Modes are easy to select you simply half push your switch down to change modes. To select different groups you need to half push the clicky 10+ times and this will get you into group select config and memory mode select. Once you are in the config mode you will have the choice of two different blinks the first blink is to select your mode groups and the second blink is to turn memory on/off. You must half click the switch when you see the first set of blinks to get you into mode select. Then its easy the C8+ will blink corresponding times with the groups so for group 1 click the switch when it flashes once so and so forth. I think I have mine in group 2 now which is 5 modes in total. So talking about output is pointless but I will add some figures below. Overall the C8+ is a winner and every own should own at least one. The built quality is top notch and the fit and finish is perfect. So if the C8 fits your taste its a no brainier. Does it sound like i am trying to sell it? I cant talk i already own 5 C8 i am a slave to Convoy lol. 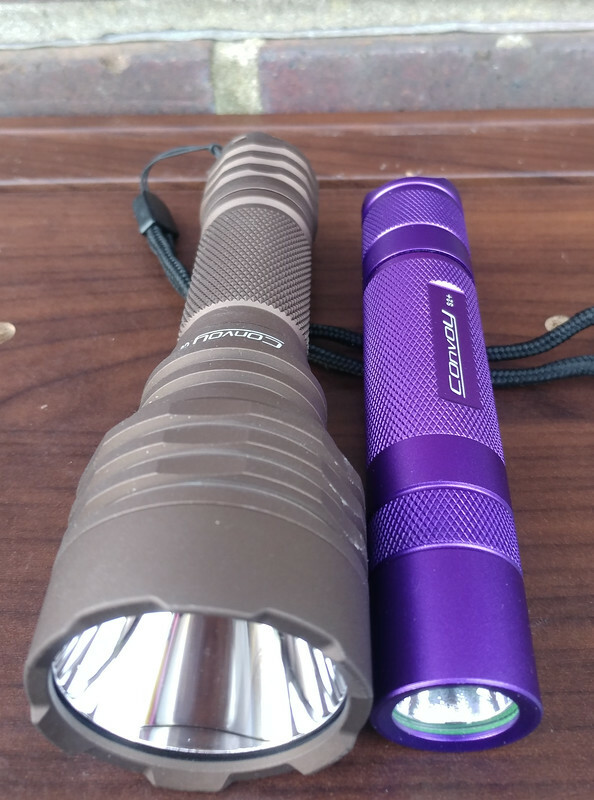 C8+ left and Nitecore P26 right the NW in the C8+ is a winner here! 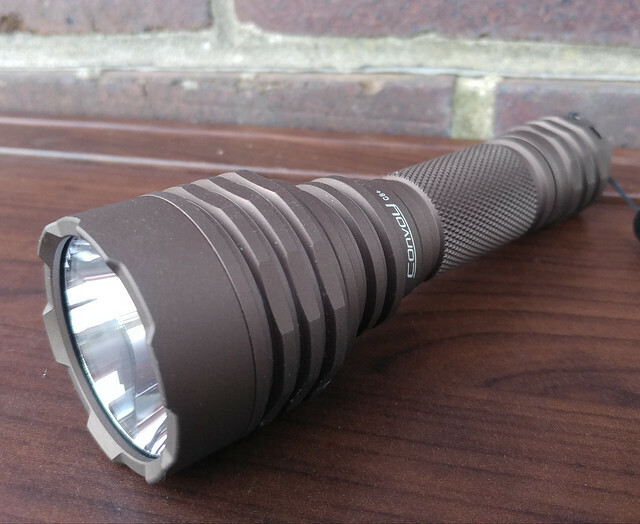 Will take the Convoy C8+ there when it arrives. Great review! i love my in warm white tint its a great color that matches the body of the host and for the price hard to find anything better. 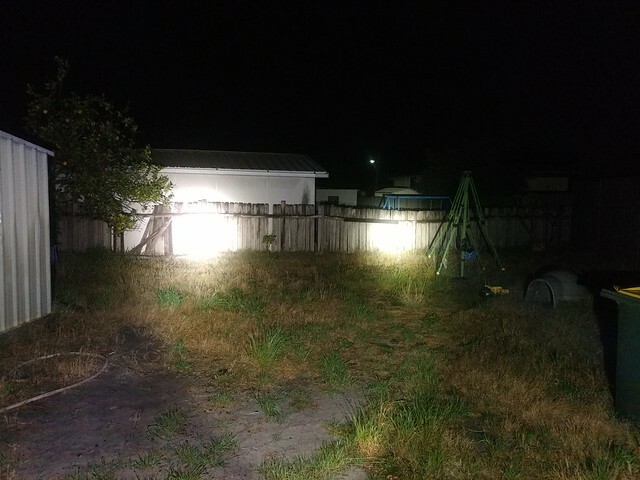 Great lights i think i will leave this C8+ stock at least for now it performs good as is. All my other C8 are throwers so its good to have a middle ground C8. Thanks for the review. 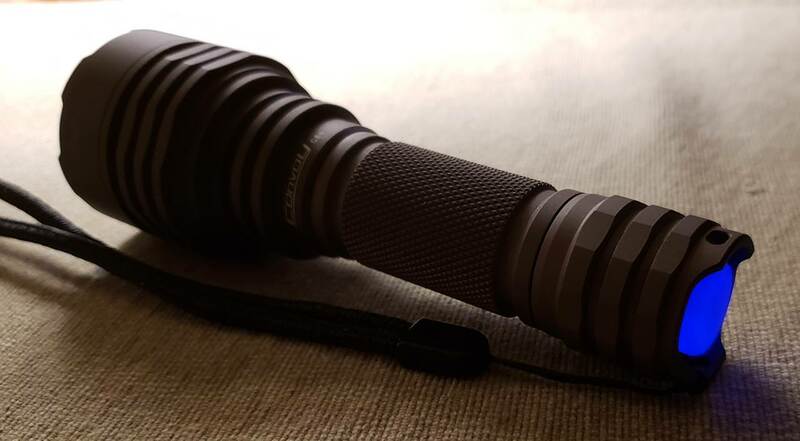 I just ordered a sand color in U6-4C to replace my long-lost XinTD C8 V4 XM-L2. (left it behind when I broke camp) My requirements for spill have changed a little since then- not riding my bicycle to work at night anymore so I don’t need to see to the side as much. 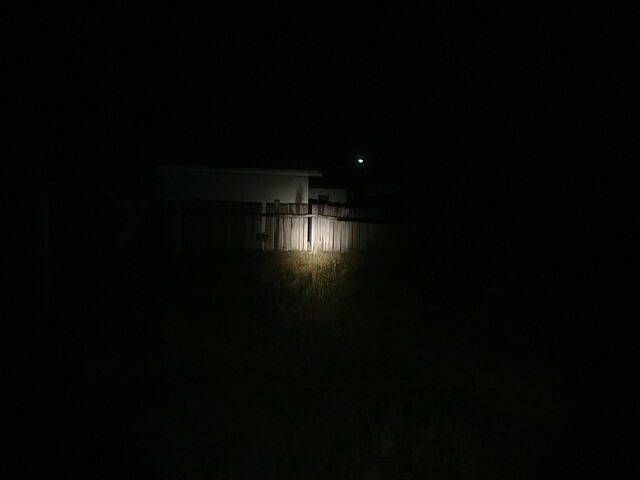 Hope the U6-4C is not too white, throwing the color off when on trails at night. Part of the hesitation purchasing before now was the UI’s seemed likely to be confusing during every day use, but your description of how the UI works makes it seem pretty straight forward once I choose a group. 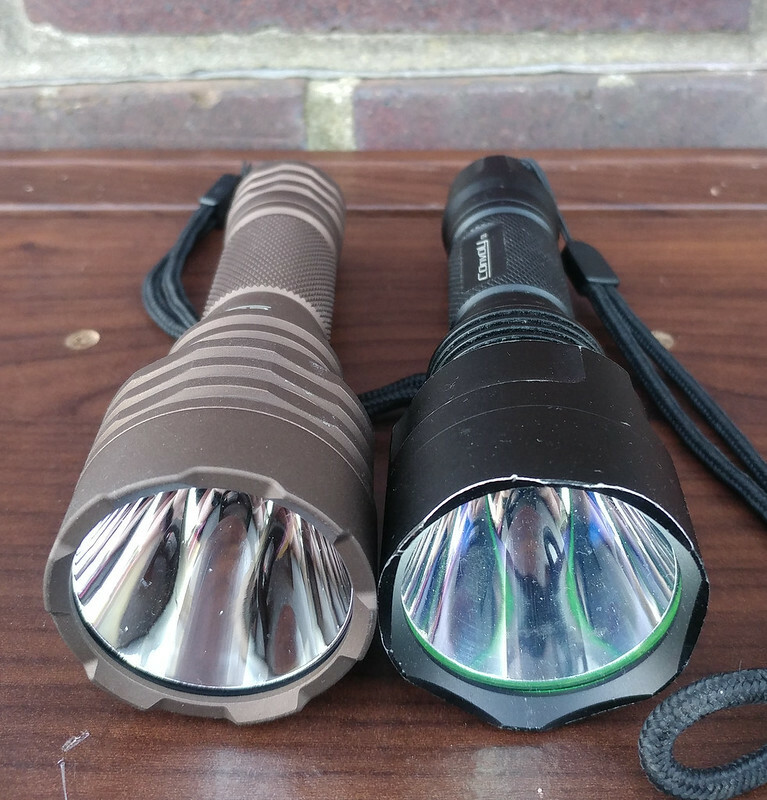 I’ll get the Convoy C8+ just in time for fall solo backpack and camping and worth the extra 8 ounces. 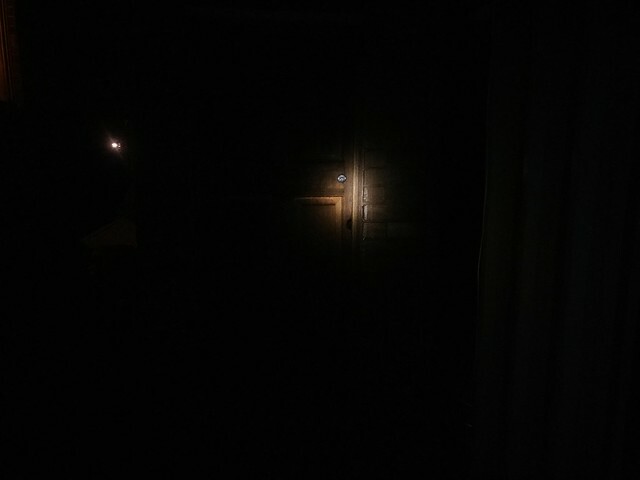 The flashlight, a stick, and really small campfire are my comfort blankets when I’m out alone. Just ordered the new c8 but I have a stupid question I should have asked before. 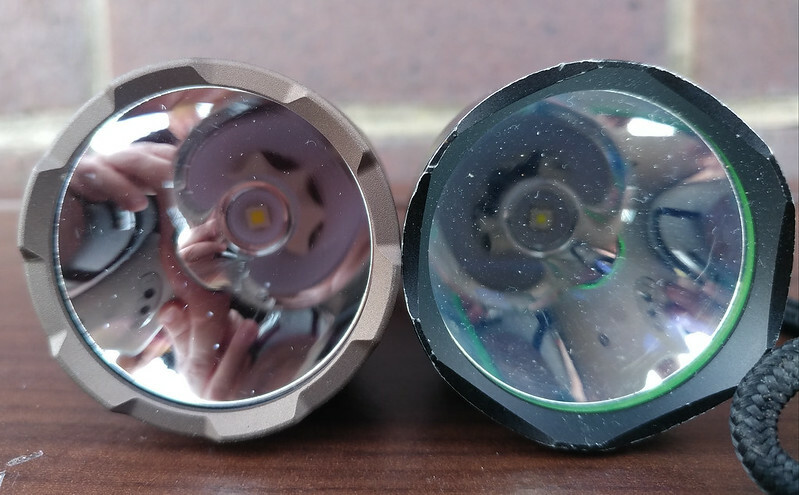 Does the SS bezel fit on the new light? 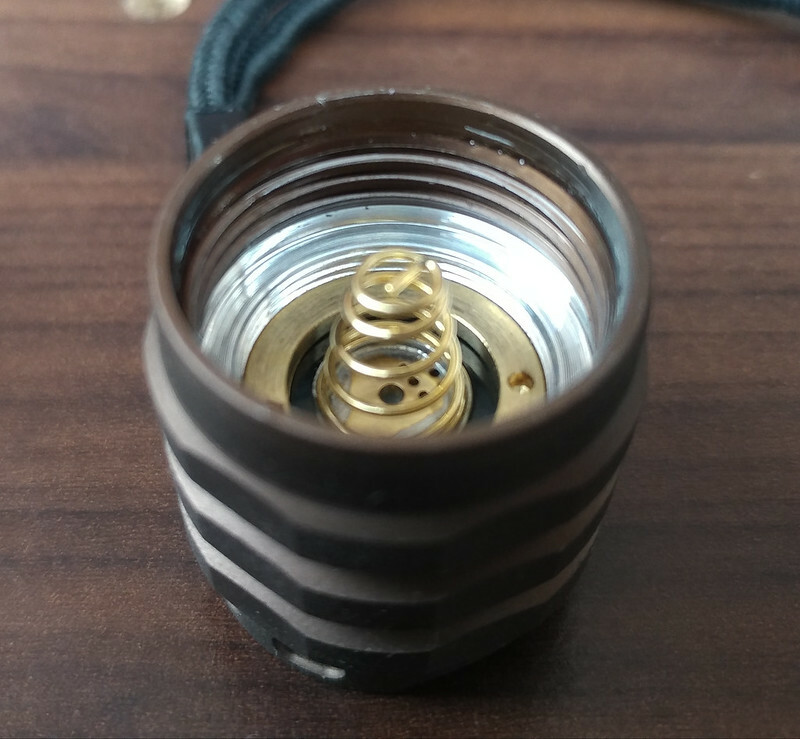 Hey mate check out the lighted tail caps with blue LEDs from Fasttech they are Convoy branded and heaps cheaper than Banggood and come with the washer and clear tail cap boot for the price. I bought 5 my last order. Sorry i missed the question! Yea the SS bezel fits on the C8+ the bezel is the same shape and design on the C8+ as the SS bezel. Thanks for the confirmation. I ordered both so they should be here in a week or two. Good to know for sure they fit now after the fact I ordered it, lol. Mounting it on my varmint ruger 10/22 I’m building. Right now the metal parts are at the coaters getting a coyote brown cerakote layed down on them. Gotta come up with something good for the scope and furniture, I’m thinking of hydro dipping them in a desert camo just to be different and not have a solid mono color. HI, I got a small question for you. Aren’t that Convoy branded tail switch incompatible with Biscotti firmware? 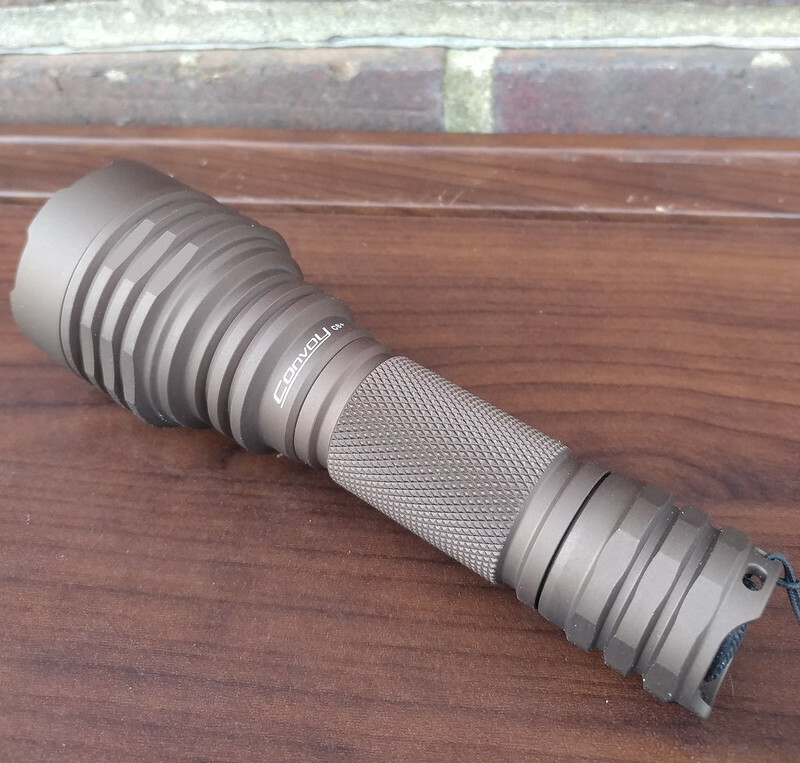 Did your C8+ working with lighted tail switch? Hey mate i have not tried it on the C8+ but both tail caps should be the same. I’ve only had an issue with one driver and tail cap light i added a resistor and it didn’t help. I like the look. And so do my helpers.